The University of Birmingham is one of the earliest institutions to load its bibliographic metadata on to WorldCat, an opportunity open to all RLUK members as part of a recent agreement with OCLC. 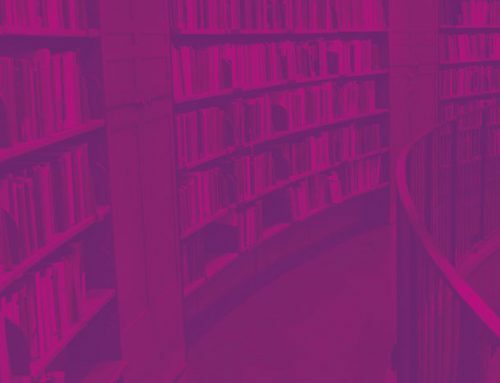 The joint arrangement will enhance the global visibility of library collections, and also compile ‘a comprehensive and accurate view of collections held by RLUK members’, as the RLUK 2014-17 Strategy states. OCLC’s analysis of that data and the insights it generates are seen by both organisations as important steps towards a shared approach to the management of legacy printed collections across UK research libraries. 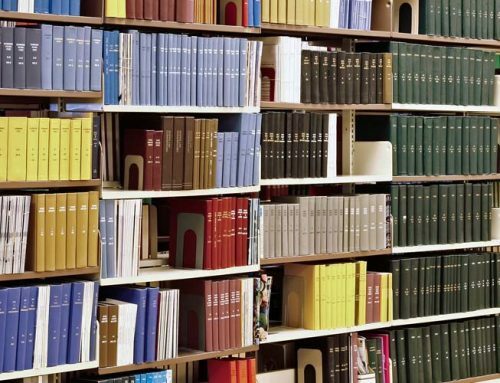 Frances Machell, Head of Collection Management at the University of Birmingham, contacted OCLC for support on a project to reclassify its main printed collection. ‘Our initial focus was on reclassification, but we were also very interested in the RLUK and OCLC collection analysis’, says Frances. ‘Once libraries have got their collections into WorldCat, there’s enormous potential to understand our historic strengths and what’s unique and valuable about our collections’. Frances and her colleagues had selected 300,000 frequently-used items from five site libraries to populate the 9,000 metres of open shelving dedicated to books in the University’s new library building, due to open in summer 2016. But because of inconsistencies in the application of the Library of Congress classification scheme over time and across multiple sites, a harmonisation project was needed. ‘Early discussions with OCLC were exploratory”, says Frances. “OCLC’s Paul Shackleton visited us for a day and that was very helpful’. Once Frances and her colleagues had decided which metadata to export to WorldCat, they found the data load fairly straightforward. And with the support of Paul Shackleton, they were able to move on quickly to the project that would reclassify the 300,000 core printed items, bringing them in line with the Library of Congress standard. ‘Until we’d harmonised the classmarks, we couldn’t be confident that books in the education library, for example, would interfile directly with books on education subjects in the main library’, Frances explains. By matching those holdings with WorldCat bibliographic data, OCLC managed to get classmarks for over two-thirds of the Library’s records. ‘It’s been a big help because we’ve been talking about harmonising our classmarks for some time, but the cost of paying professional library staff to reclassify all those items was staggering. Passing them through a bulk matching process is great value in comparison. I don’t know how we would have done it in-house; it wouldn’t have been feasible’. Finding 300,000 books within a collection of around 1.2 million is undoubtedly a challenge for the company to which the Library has outsourced the relabelling of the physical stock. ‘It has made us realise the importance of ensuring that our classification system does not become more complicated or inconsistent over time’, says Frances. ‘It’s been a very complex project, but Paul Shackleton has supported us with the data issues as well as the overall project’. So what benefits has the WorldCat data load project and reclassification work brought to the University of Birmingham? ‘It has aligned the main printed collection with the Library of Congress standard,’ says Frances, ‘and that will be a massive benefit when we implement Shelf Ready. We’ve now applied a global standard to our most frequently-used books – the ones that will comprise the main collection in the new library. That’s a big step forward and will make it a lot easier for users to find what they’re looking for. And in the global information environment, any time we want to outsource or work with external partners, working to international standards will stand us in good stead and open up more opportunities to share data’. The University of Birmingham, like all research institutions, is keen to safeguard longer-tail resources for future scholarship, and sees the strategic value of RLUK’s partnership with OCLC. ‘The new library includes a research annexe with 50,000 metres of space for our legacy print collection. We really value the printed resources we’ve built up over the years’, says Frances. ‘But knowledge does get lost over time, and even we can fail to grasp how rich some of the collections are. The RLUK strategy and OCLC’s data analysis really chime with our vision for the new library – while digital is tremendously important, the print collections will be with us for the foreseeable future’. If you’re an RLUK member and want to get started on a WorldCat data load for your institution, get in touch with Paul Shackleton at OCLC now.